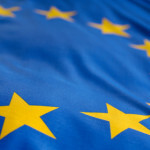 On 19 May the EU Commission published its new Better Regulation Package, a comprehensive set of measures and tools that define its new Better Regulation policy over the coming years. Under the label “deliver better rules for better results” the package clearly demonstrates the political commitment towards better regulation by the new Commission and especially by the First Vice President Mr. Timmermans. 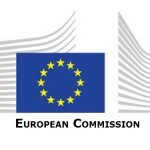 The Communication (2015) 215 sets the Commission goals, describes the innovations introduced and reaffirms the opinion that better regulation is a shared responsibility among the three EU institutions and Member States. All the pillars of the current Commission’s better regulation policy (Impact assessment, REFIT Programme, ex-post evaluation and fitness checks, stakeholders consultation) are confirmed and reinforced, while new tools are introduced especially for strengthening the transparency and participation of the decision-making process. 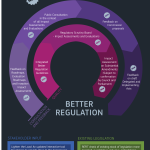 New better regulation guidelines, covering the entire regulatory cycle, are published together with a new Toolbox. While the guidelines set out the mandatory requirements and obligations for each step in the policy cycle, the Toolbox provides additional guidance and advice. As for participation and transparency, two main innovations are introduced. First, consultation standards are strengthened. Stakeholders can express their views over the entire lifecycle of a policy, starting from “roadmaps” and “inception impact assessments” on new initiatives. 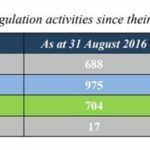 There will be twelve-weeks public consultations not only when preparing new proposals, but also during the elaboration of “fitness checks” of existing legislation. 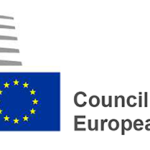 After the Commission has adopted a proposal, stakeholders will be invited to provide feedback within eight weeks and the Commission will present the contributions received to the European Parliament and the Council. Second, for the first time the draft texts of delegated acts and important implementing acts will be published on the Commission’s website for four weeks in parallel to the consultation of experts in the Member States. The Commission will also publish an indicative list of these acts under preparation and “proportionate impact assessments” will be carried out whenever impacts are likely to be significant. From the governance point of view, two new bodies will be established. As announced last December, a Regulatory Scrutiny Board (RSB) will replace the previous Impact Assessment Board. RSB will not only check impact assessments but also major evaluations and “fitness checks” of existing legislation. It will be composed by a chairperson plus six full time members. In addition, three of these members will be recruited for fixed, non-renewable terms from outside the EU Institutions. Secondly, a REFIT Platform will be created. The Platform will invite, collect and assess suggestions from all available sources on how to reduce regulatory and administrative burden. It will request comments from the Commission services or concerned Member States on the suggestions considered most likely to simplify existing UE legislation and its national implementation. The Platform will respond to each participant and will publish the suggestions received. The suggestions considered more relevant will be forwarded to the Commission services or Member State concerned. The Platform shall be composed of two groups: the ‘government group’, consisting of high-level national experts, and the ‘stakeholder group’, composed by 20 experts. The Platform, that essentially will replace the expired High level group on national better regulation experts and High level group on Administrative Burdens, will be chaired by the First Vice-President. Finally, the package includes the Commission’s Proposal for an Interinstitutional Agreement on Better Regulation (IIA), replacing the 2003 IIA, with the aim to finalise it before the end of 2015.